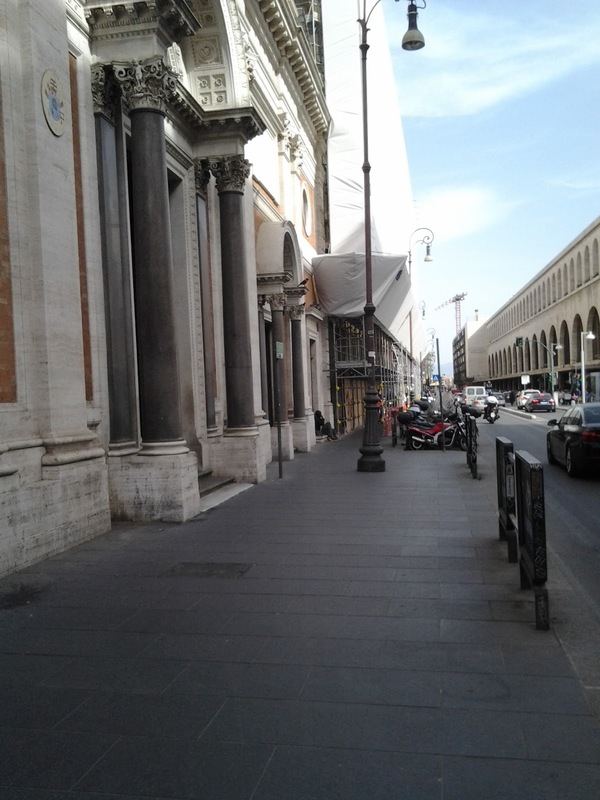 Whenever I walk along via Marsala towards Rome's Termini train station, I see a middle-aged black man sitting in front of a church. He wears shabby clothes, and his left leg is wrapped in bandages that make it look as if his foot had been amputated. It appears as if he does nothing all day except for asking people for money. One afternoon, as I was passing by that church, the man, after having received a coin from a tall, blond tourist, suddenly - and perhaps believing that no one was watching him - took off his bandages, revealing a perfectly intact, healthy foot. As I drew closer to him, our eyes met. I smiled and shook my head disapprovingly. He, too, smiled, and I believe to have discerned a hint of embarrassment, if not shame, on his face. Rome has a serious problem with people roaming around the city and asking for money. To be fair, this does not concern only immigrants, but also locals. Recently I bumped into a guy from Naples who claimed to be a member of an organization of ex-convicts trying to start a new life. He wanted to sell me two bracelets for 4 euros. He kept insisting, at times becoming a bit aggressive. Later an Italian woman tried to sell me overpriced socks. She, too, claimed to be in need of help. Many of these people can be seen in the same areas on a daily basis. For example, a woman with a non-Italian accent always wanders around the train station. She goes into cafes, restaurants, or stands in front of shops, and asks for money. "Excuse me," she'll say in an imploring tone, "please have mercy, give me one euro, God bless you!" If shopkeepers kick her out, she'll argue with them. There are places in Rome where you cannot go out without encountering at least one person asking you for money. In some respects this phenomenon has to do with Rome's huge migrant issue. According to The Guardian, Italy has around 180,000 asylum seekers and refugees, most of them in or near Rome. Many are sheltered in temporary camps, or have occupied empty buildings. However, as I mentioned before, many Italians do the same, too. It seems to me that this problem is a combination of different factors. First of all, Italy's notorious lack of organization and resources. For instance, Italy's police forces are among the worst paid in Europe. Junior police officers earn as little as 16.675,88 euros per year. Secondly, Italy has huge economic and social issues, leading people to look for opportunities to make money in illegal or semi-legal ways. I am ashamed of this. One the one hand, I feel less safe in my own country than I did in Germany, Taiwan or Hong Kong. On the other hand, I feel sorry for all the tourists who go to Rome to visit its beautiful old buildings, and are forced to deal with individuals who take advantage of them.